The Washington Health System Wound and Skin Healing Centers (WSHC) are located in Washington and Greene Counties. The Centers provide specialized treatment for chronic or non-healing wounds such as pressure ulcers (bedsores), arterial ulcers due to poor blood flow or circulation; diabetic foot ulcers and venous stasis ulcers due to incompetent veins. The Wound and Skin Healing Centers use the most advanced therapies available for wound healing. Our Team of physicians and nurses address the underlying cause of the wound including nutrition, ill-fitting shoes and braces, poor blood flow, lack of exercise, uncontrolled symptoms of another disease process. The success of your treatment will depend on your participation. You and your family will learn about caring for your wound at home, including how to change dressings and how to protect the wound from further injuries. It’s important to keep your appointments, follow directions carefully and watch your progress closely between visits. We’re here to answer questions and give you the support you need to heal. 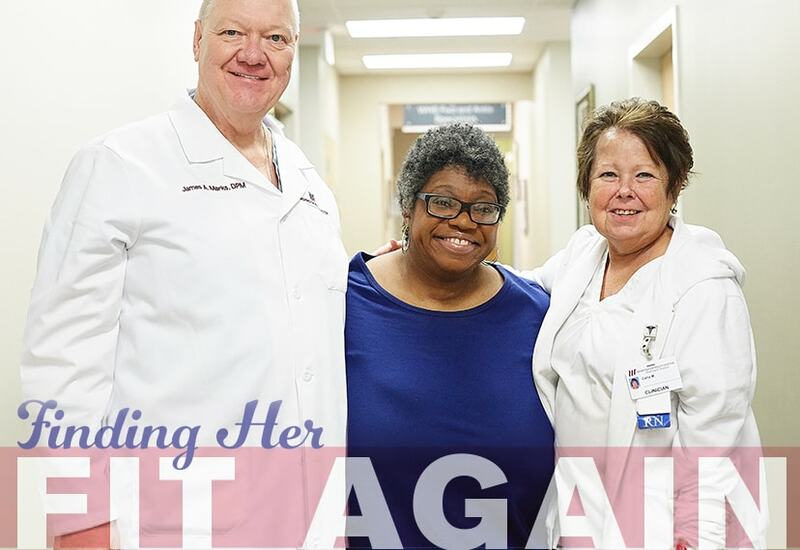 Read about our most recent Success Story: “Finding Her Fit Again” from our Connection Magazine. If you have questions or would like more information about Washington Health System Wound and Skin Healing Center, please contact us or click on the services below. pressure relief surfaces/beds/chair cushions, etc. HBOT is a medical treatment in which the entire body is placed under increased atmospheric pressure while the patient breathes 100 percent oxygen. This treatment, administered in a pressurized chamber, is proven effective for limb threatening wounds caused by diabetes and/or vascular insuffiency and complications from radiation therapy. The chambers are designed for one person to be treated at a time. The chamber is clear, so you will be able to see and communicate with the hyperbaric technician at all times through an intercom system. During treatment, the chamber is “compressed” to a pressure that is 2 to 2.4 times that of sea level. This is the same pressure a scuba diver feels at 33 to 45 feet under the surface of the ocean. You will notice a lot of “air noise” during your treatment. This is a normal part of the chamber function. Each dive takes approximately 2 to 2.5 hours depending on the reason for hyperbaric medicine. Treatments are scheduled Monday through Friday 7:30am to 4:00p. The number of treatments required will depend on each individual’s clinical response to the treatments. Successful hyperbaric therapy requires a team-management approach. Patients who receive hyperbaric therapy are referred by a variety of medical specialists such as primary care physicians, internists, podiatrists, surgeons, radiation oncologists, dentists and home health care nurses. You will be evaluated by one of our hyperbaric physician specialists at Washington Health System Wound and Skin Healing Center. A treatment regimen* will be designed for your individual needs. This regimen, along with other recommendations, will be shared with your referring physician, who will remain responsible for your general medical management. To arrange a consultation with one of our hyperbaric physician specialists, talk with your primary care physician or call one of our offices. Lymphedema is a build-up of fluid that causes swelling (edema) in the arms and legs. Normally, lymph nodes filter fluid, trapping bacteria, viruses and other foreign substances, which are then destroyed by special white blood cells called lymphocytes. Without normal lymph drainage, fluid can build up in the affected arm or leg, and lymphedema can develop. One cause of lymphedema is surgery to remove lymph nodes, usually during cancer treatment. Primary lymphedema can be present at birth or develop during puberty or adulthood. The cause of primary lymphedema is not known. Medicines such as tamoxifen (Nolvadex™), radiation therapy and injury to the lymph nodes can also cause lymphedema. This type is called secondary lymphedema. Treatment depends on lymphedema’s cause and includes wearing compression garments such as stockings or sleeves, proper diet and skin care, and fluid drainage. Elevating a swollen arm or leg can help ease the drainage of lymph from the affected limb. Gentle exercise can also help reduce swelling. If you have swelling, it is important to properly bandage an affected limb before exercising. Ask your health professional how to use a bandage for this purpose and what exercises are appropriate for your condition. If you have had lymph nodes removed or have had radiation therapy as part of cancer treatment, you may be able to avoid lymphedema or control it by following these tips. Contact your doctor promptly if symptoms of an infection—such as redness, pain or increased swelling—develop in your arm, hand, leg or foot. Ask your doctor how to handle any cuts, scratches, insect bites or other injuries that may occur. Use sunscreen with a sun protection factor of at least 15 and insect repellent when outdoors to protect your skin from sunburn and insect bites. Do not ignore a feeling of tightness or swelling in or around your arm, hand, leg or foot. Let your health professional know about it immediately. How do I know if I have a chronic, non-healing wound? If a wound has not improved significantly in two to four weeks or if it has not completed the healing process in eight weeks, it should be considered a chronic wound and one at risk for prolonged healing. Patients who have diabetes, arterial disease (poor circulation), a chronic edema (swelling) of the lower extremities, chronic skin infections, or a history of collagen vascular disease such as scleroderma or rheumatoid arthritis, should seek early referral to the WHS Wound and Skin Healing Center. What are the causes of chronic wounds? Diabetes, immobilization, trauma, chronic edema, circulatory problems or vascular disease are health issues that can lead to chronic, non-healing wounds. If you have a wound that won’t heal, you are not alone. People with diabetes are at particular risk. Approximately 1.5 million people with non-healing wounds have diabetes. Another 2.5 million patients have pressure ulcers. Each year, 500,000 new lower extremity ulcers develop in patients with chronic venous insufficiency and stasis. Other chronic wounds are the result of traumatic injury, non-healing surgical incisions and a variety of other diseases that affect the skin. Washington Health System Wound and Skin Healing Center not only uses among the most advanced therapies available for healing, it also addresses the underlying cause of the wound—for example, nutrition, lack of exercise, hygiene, ill-fitting shoes—to help eliminate recurrence. Not at all. Washington Health System Wound and Skin Healing Center and Hyperbaric Medicine works with your personal physician in the same way as we would any medical specialist. We keep your doctor informed on all aspects of your treatment with frequent progress reports. While you receive treatment for your wound from Washington Health System Wound and Skin Healing Center and Hyperbaric Medicine, you’ll continue to receive all routine care from your physician. How does the WHS Wound Center work with my doctor/PCP? Washington Health System Wound and Skin Healing Center works with your personal doctor, just like any other medical specialist. We’ll discuss your treatment program with your doctor and keep him or her updated on your progress, unless instructed otherwise. You’ll continue to see your doctor for routine medical care. Our staff will evaluate your wound and general health. They will also review your medical history. A blood test may be involved. You may also need special tests that give us information about blood flow and oxygen flow in the wound area. When your test results arrive, we’ll put together a treatment program based on your unique needs. This program will include regular visits to Washington Health System Wound and Skin Healing Center and Hyperbaric Medicine to provide treatment, evaluate progress and make any changes that might be needed. You (or your caregiver) will be given detailed instructions in home care, dressing (bandage) changes and protecting the wound from further injury. Your initial evaluation will take about two hours. 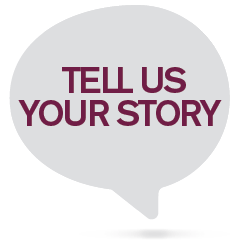 We will ask about your medical history, perform a physical examination, evaluate and take pictures of your wound, do blood work, and perform any other non-invasive tests to help us develop your treatment plan. Normally, the atmosphere exerts 14.7 pounds per square inch of pressure on your body at sea level while you breathe air that is approximately 21 percent oxygen and 78 percent nitrogen. During an HBOT treatment, you will breathe 100 percent oxygen under increased atmospheric pressure within the chamber. This combination of high concentrations of oxygen and increased pressure causes large amounts of oxygen to be dissolved in your blood and tissues, typically 10 to 15 times the usual amount of oxygen dissolved. This dissolved oxygen can penetrate areas that red blood cells cannot reach, revitalizing tissues that receive poor blood flow.